In need of Water Coolers in Thirsk? AquaPoint are North England’s answer to water cooler supplies and maintenance; we are located near to Thirsk, UK. AquaPoint’s team comprises of many friendly, skilled and hard-working individuals. All the water is bottled directly from a natural source located in North Yorkshire with strict safety testing and quality assurance as standard. 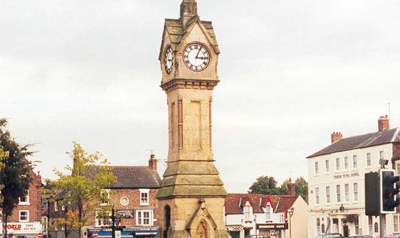 Thirsk like many other towns requires thousands of gallons of fresh water a week to drink. Our quick deliveries are planned in advance to make sure you never run out of your fresh water supply. It is our mission to be the best water company in the UK and to keep all of our clients refreshed 24/7. Thinking about using our service?